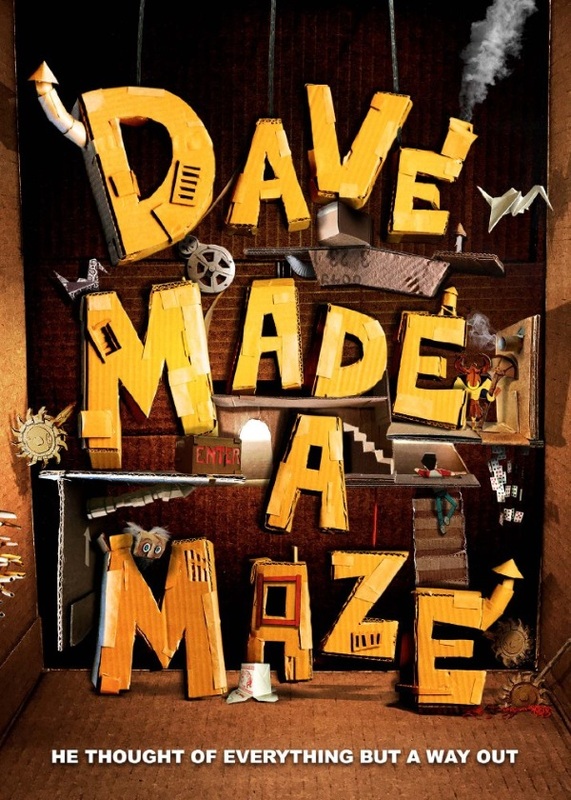 “Dave Made A Maze” was one of the biggest surprises and discoveries of the festival (so far) for me. While the concept sounded nice, I really didn’t know what to make of it beforehand, but it turned out to be a great, highly entertaining and truly original film that I enjoyed very much. I already loved the setup, of Dave building this maze that’s waaaaay bigger on the inside, but that – literally – was just the beginning. I really loved the art direction with all those cardboard-rooms, which also very highly distinctive and varied rooms. I especially liked the one with the forced perspective, but there were many brilliant, funny and original ideas. It was also great how they handled the (potential) splatter in a G-rated manner. Also, the story isn’t just entertaining, but also offers some food for thought. The way Dave gets caught in his own creation – and is ultimately the key to his own salvation – is a great metaphor not just for creating art, but rather every kind of obsession (or addiction). Bill Watterson (who, at the Q&A which followed the screening, proved to be a really nice, funny and entertaining guy; gosh, it’s great to like the movie of a charming and likeable director for once!) does a great job directing the picture (and in his feature film debut, at that), I liked the cast, the acting is good – but ultimately, as said before, its biggest strength definitely is the art direction (which, in a just universe, would get an Academy Award nomination). The only thing that bugged me a little bit were a couple of unfinished storylines (a couple of characters, like the hobo in the apartment or the flemish tourists, simply vanish from one scene to the next). Apart from that, it was – wait for it – a-maze-ing! This entry was posted in /slash, cinema 2017, movie reviews, new releases and tagged /slash, /slash 2017, 2017, Bill Watterson, Dave Made A Maze. Bookmark the permalink.